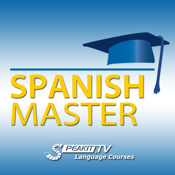 This course is geared to those of you who don't know any Spanish and want to start from the very beginning. It is also intended for those who have a basic knowledge but feel their language skills are not good enough, their vocabulary is insufficient, or their sentences just don't come out right. Not only are the course's contents and methodology innovative – it also uses a useful and convenient video format! So what makes this course so unique? - It comes in three consecutive parts or stages. Each stage is geared to a different level, and each part can be ordered separately. - Just watch, listen and learn! Everything you need to know appears on the screen, ranging from simple grammar hints to subtitles providing translations and explanations in English. - Your teachers are native speakers of the Spanish language. - Several free lessons are offered for each level. 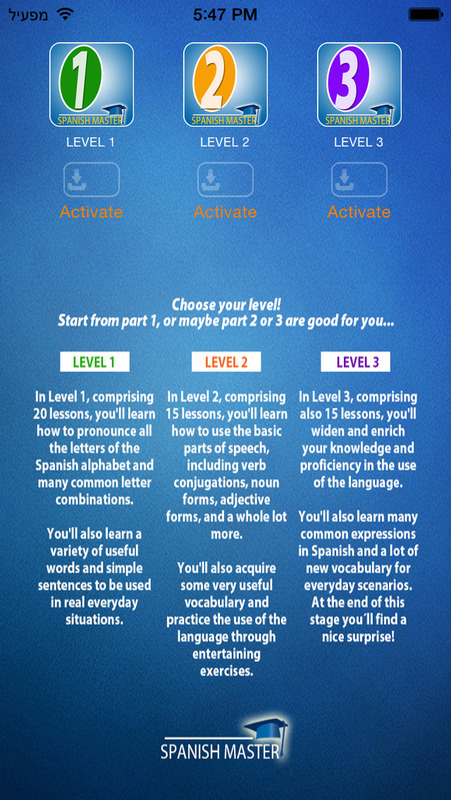 You can start from Part 1 or choose the level appropriate for you! Our motto is to give each student the opportunity to work at his/her own pace… (no need to rush) and practice as many times as desired. This is the advantage of self learning! The idea is for you to gradually improve your skills in what is almost like playing a game, without even feeling you are actually learning. In Part 1, comprising 20 lessons, you'll learn how to pronounce all the letters of the Spanish alphabet and many common letter combinations. You'll also learn a variety of useful words and simple sentences to be used in real everyday situations. In Part 2, comprising 15 lessons, you'll learn how to use the basic parts of speech, including verb conjugations, noun forms, adjective forms, and a whole lot more. You'll also acquire some very useful vocabulary and practice the use of the language through entertaining exercises. In Part 3, comprising also 15 lessons, you'll widen and enrich your knowledge and proficiency in the use of the language. You'll also learn many common expressions in Spanish and a lot of new vocabulary for everyday scenarios. At the end of this stage you´ll find a nice surprise! In addition, we offer you a very practical bilingual mini-dictionary with more than 1500 items for quick and easy reference. The free version includes some chapters from each part - using in-app purchase you can upgrade to the full version to view all chapters of each course.